The American Gospel–literally, the good news about America–is that religion shapes our public life without controlling it. 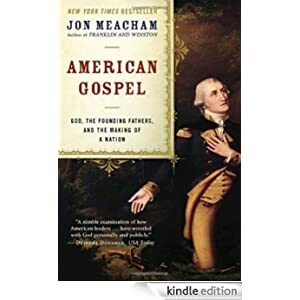 In this vivid book, New York Times bestselling author Jon Meacham tells the human story of how the Founding Fathers viewed faith, and how they ultimately created a nation in which belief in God is a matter of choice. At a time when our country seems divided by extremism, American Gospel draws on the past to offer a new perspective. Meacham re-creates the fascinating history of a nation grappling with religion and politics–from John Winthrop’s “city on a hill” sermon to Thomas Jefferson’s Declaration of Independence; from the Revolution to the Civil War; from a proposed nineteenth-century Christian Amendment to the Constitution to Martin Luther King, Jr.’s call for civil rights; from George Washington to Ronald Reagan. Buy this book today for only $2.99. Trump triggered massive cognitive dissonance and confirmation bias on both the left and the right. We’re hardwired to respond to emotion, not reason. The point isn’t whether Trump was right or wrong, good or bad. 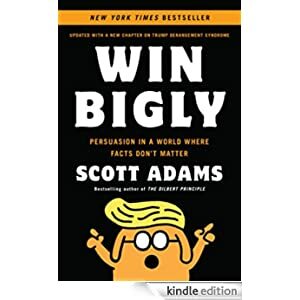 Win Bigly goes beyond politics to look at persuasion tools that can work in any setting. This is a must read if you care about persuading others in any field—or if you just want to resist the tactics of emotional persuasion when they’re used on you. 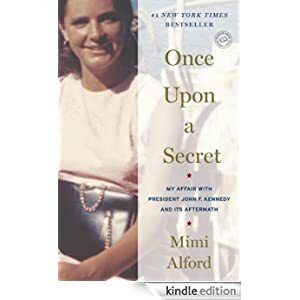 In the summer of 1962, nineteen-year-old Mimi Beardsley arrived in Washington, D.C., to begin an internship in the White House press office. After just three days on the job, the privileged but sheltered young woman was presented to the President himself. Almost immediately, the two began an affair that would continue for the next eighteen months. Emotionally unprepared to counter the President’s charisma and power, Mimi was also ill-equipped to handle the feelings of isolation that would follow as she fell into the double life of a college student who was also the secret lover of the most powerful man in the world. After the President’s assassination in Dallas, she grieved alone, locked her secret away, and tried to start a new life, only to be blindsided by her past. Once Upon a Secret is a moving story of a woman emerging from the shadows to reclaim the truth. Buy this book today for $1.99.